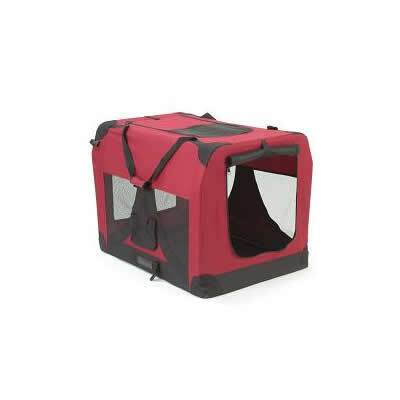 This smart pet travel carrier can be used outdoors (in good weather), indoors, and is great for travelling. It has a durable powder coated internal steel frame, top and front zipped entry doors, very quick and easy to set up and fold down, and has a removable washable outer cover. 6 different sizes are available, click on the drop down menu below.